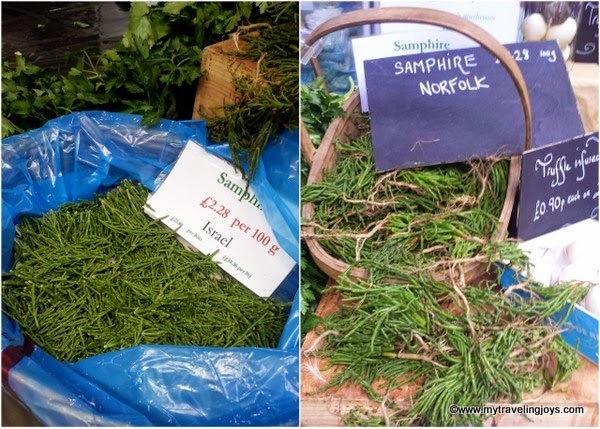 When I first wandered around the Borough Market in London, I was not impressed. 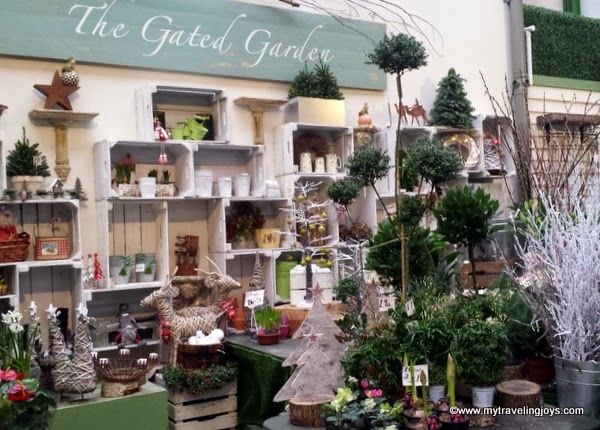 Being the month of December, perhaps only half the stalls were open, which should have been expected. Even with the Christmas décor, I simply didn’t feel like I was in my happy place as I usually am when I visit foodie markets. Should I blame that offset feeling on London’s gray weather? The saving grace was visiting my favorite cheesemonger, Neal’s Yard Dairy, which has a storefront nearby on Park Street. 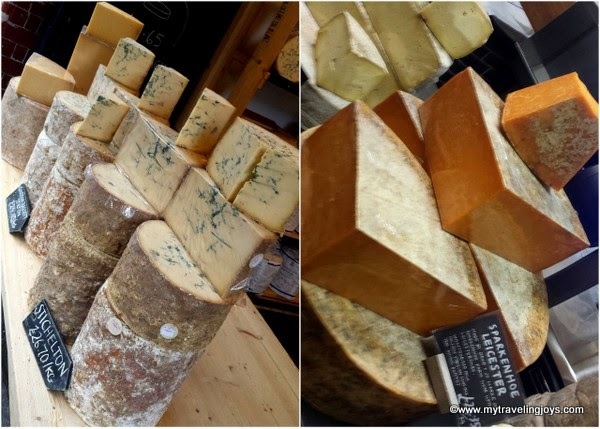 This place is a cheese lovers paradise filled with specialty cheeses from the U.K. and Ireland! The U.S. restaurants I worked at used to buy some of the company’s cheeses, so that’s how I first was introduced to Keen’s Cheddar, Lincolnshire and Stichelton. 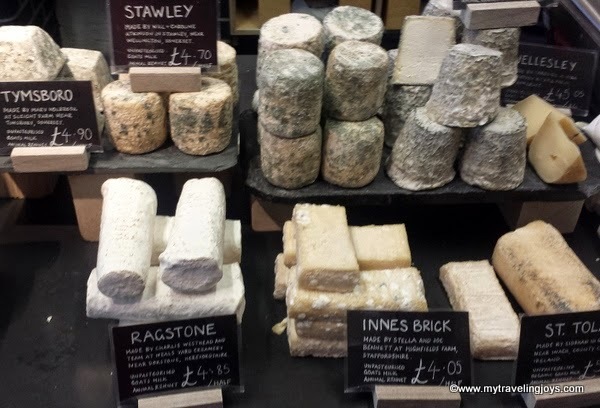 Every time we visit London or a Londoner visits us, I stock up on my favorite English cheeses. Fast forward seven months, in July, I tagged along on one of my husband’s business trips to London. 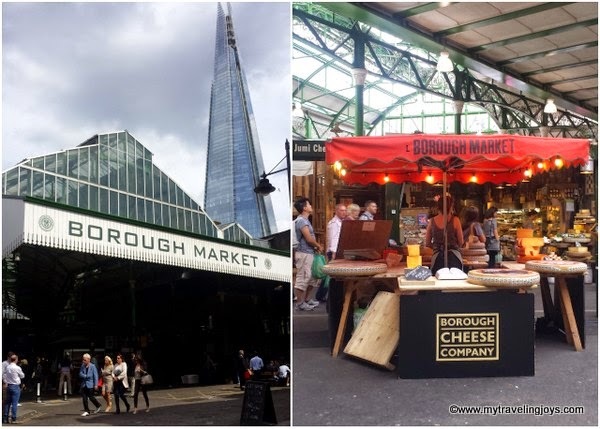 I decided to repay Borough Market a second visit after talking to his London colleague who was crestfallen that I didn’t love the market too! This time, the market was bustling with people, many tourists, of course. Simply put, Borough Market felt more alive than my first visit. 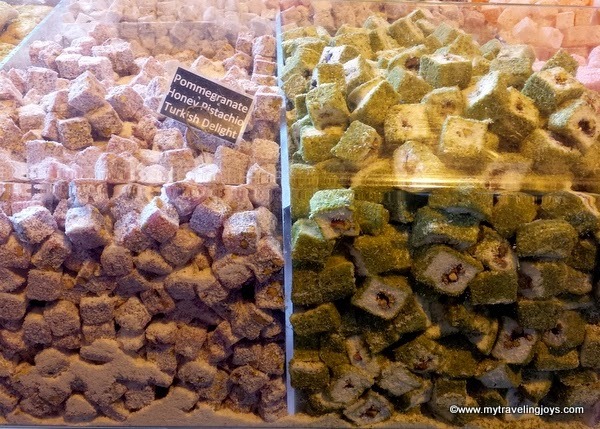 I tried some so-so pad Thai, but then I sampled some yummy Turkish delights from the friendly Turks. The market features cuisines and products from all over the world including: Croatia, India, Italy, Spain and even American desserts. The moist (nut-free) chocolate brownie I bought was easily the best I’ve had outside the U.S. except for my own, of course. 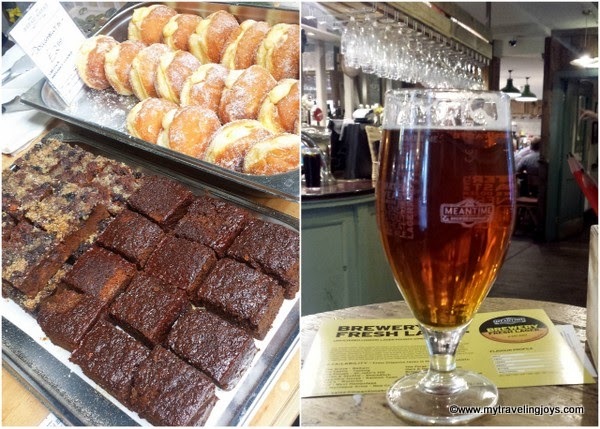 I followed that sweet treat with a refreshing IPA beer at the nearby Wheatsheaf. 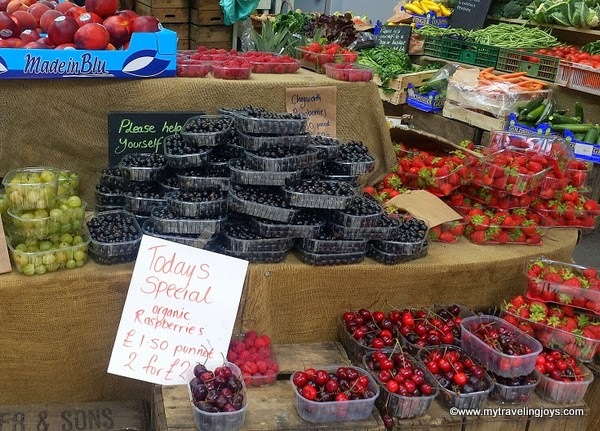 I wandered by several stalls selling fresh, seasonal produce. The market had everything that any foodie would love! So this time, I was very pleased! I still cannot put my finger on why I disliked the Borough Market so much on my first visit, but I’m happy I gave it a second chance. The nearby Wine Wharf looked like the perfect place to spend happy hour, especially when it's buy one glass, get one free from 4-7 p.m.
i've never met a market i didn't like! I'm happy you liked it too! I LOVE Borough Market! My son used to live right by it. 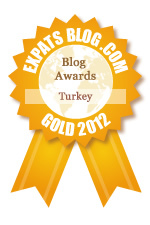 It is so totally English and the produce is entirely different to what we have here in Turkey. Love your pics esp the cheesy ones! Now, good cheese is something we just don't get here ... my opinion! Thanks Claudia! I'd love to return in a different season...say spring or fall to see what else the market had to offer. I love cheese too! Got a great stash in my freezer. You would have lost me by the cheese, I can stare at (and eat) that for hours... :-) Nice that you found yourself back and enjoyed this time!